Red currants are not only super healthy, but also very refreshing due to their sour kick. And at this time of year they are everywhere! 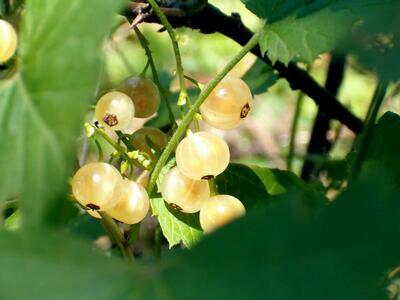 If you are turned off by the tart flavor of red currants, you can try sweeter white currants. When it comes to making something from currants, the clear-cut favorites are homemade currant juice and currant jam. Maybe you have a great recipe for currant jam, but don’t like to make it due to the difficulty of removing the seeds. Trying to cut each berry and then run it through a strainer is a time-consuming and laborious process. However, there is a very easy way to do it – just juice the berries in a Sana Juicer EUJ-808. This top juicer can easily remove seeds from currants, gooseberries, and sea buckthorn berries, leaving only the pure juice which can be used to make jam. In addition, the EUJ-808 can process large quantities of berries in a short amount of time. Unlike strawberries, which are almost universally loved, currants aren’t nearly so well-liked. Maybe it‘s because of their sour taste or small seeds. Even worse, some people are wary of sweet currant jam. Vitamin C - one berry has up to 2 mg. Just 40 berries gives you your complete daily recommended amount of Vitamin C.
Vitamin P (rutin) - supports the vascular system. Vitamin B - strengthens nerves, hair, and skin. Beta carotene and antioxidants - these are converted to Vitamin A by the body, which helps eyesight and the immune system. 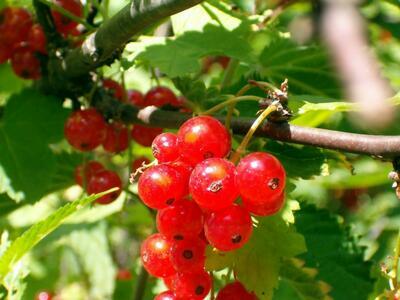 In short, currants provide a boost to the immune system and provide the body with many valuable nutrients. Feel like you are coming down with a cold? Pick a handful of currants and nip it in the bud. Like always we have many recipes. If you want to add a little sweetness to blackcurrant juice without adding unhealthy sugar, you can combine it with other fruits. One excellent combination is currant with watermelon. You can also mix the juice with soy or coconut milk, or sweeten it with a bit of honey.